We came across the japanese extended trailer of Final Fantasy XV in better quality than Youtube. So here it is for you to enjoy (again). I hated the combat when I first played the Platinum demo, but as I continued to play, it grew on me. This game is the first action-rpg since I think Dragon's Dogma that seems like it is giving me everything I want. Any chance we can get the version with English Subtitles? Platinum demo isn't a good demo to be honest. Episode Duscae really showcased the combat well. You can't load your deck of swords in Platinum demo, for example as combat isn't just selecting 1 of 4 weapons assigned to the d-pad. Also, the Armiger in Platinum demo doesn't include that cool move where you're warping all around and enemy and direct a bunch of swords at him. This the trailer I have been waiting for. If the game ends up looking like what is shown in this trailer, I will be very impressed. To those who have played both the Duscae and the Platinum demos, does the combat has any "meaningful" depth to it - so far? I'm asking because from all the videos, trailers and gameplay livestreams I've seen, the combat mechanics seem very shallow and really dumbed down to a casual audience. 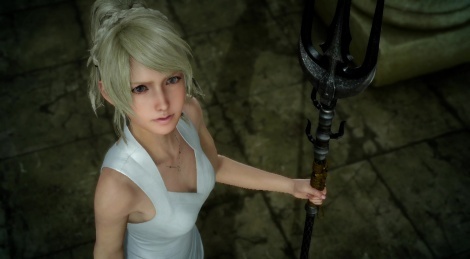 Which seem like they can't sustain a 50 hours RPG - according to Square Enix. I really hope I'm wrong, because great combat mechanics are essential for Action-RPGs like Dragon's Dogma, Bloodborne, Dark Souls, etc. Since Square Enix took this approach to Final Fantasy 15, they need to nail this aspect. The combat system itself seems to have some depth...certainly the move set is much more extensive than say the Witcher 3, but none of the fights in Duscae or Platinum have required much strategy. To answer your question, yes it does. But it is not immediately apparent. Last year, my biggest criticism of the Duscae demo was its awful tutorial. I watched fan-made tutorials on youtube and learnt way more. However, it's not a hack and slash game. Don't expect Devil May Cry or Ninja Gaiden level of depth. It is an RPG game and so it will mean that the capacity of your moveset is dependent on your level, what weapons you use, what items you have etc. I expect what will make the combat fun to play are the enemies. If enemies require different tactics to beat or have different "stages" to them like that large magitek boss from the Niflheim trailer. Episode Duscae did have a decent variety of enemies with different ways of fighting. Also, the contextual blocking, evading and counters/parries and team attacks make the combat less repetitive. To catfish and Eamon, thank you very much for the replies! I was worried because I haven't seen any skill tree, abilities' screen, combo tutorial (not like Devil May Cry or Bayonetta, but more like chaining hits), gear changing (except for weapons) and it looked like the combat would become a tedious button masher without much need for strategizing after a few hours. I'm glad to hear that i's not like that. As long as it's similar to Final Fantasy 7: Crisis Core or Kingdom Hearts I'm fine. I'm sure the final game will have much more features and more developed mechanics. I'm also hoping for a great game overall, Final Fantasy really needs to feel like a big AAA IP again. I played Final Fantasy 13 years ago, and while the AAA production value was there, it felt "hollow", I didn't like its battle system and the story was too convoluted - felt like a poorer Hideo Kojima wrote the story. Anyway, I don't want to bash or focus on Final Fantasy 13. Just hoping for a great Final Fantasy 15. This is exactly the same trailer from PS Store Japan, I checked md5. I watched this trailer before on youtube, now gamersyde has it in better quality! awesome! It's got aliasing galore but i think it's well worth the trade-off. I can't see this game losing it's lighting, character detail, architecture and scale. Lots of effects and action in this trailer! I'm definitely going to have my fill with this game when it finally arrives. Platinum demo isn't a good demo to be honest. Episode Duscae really showcased the combat well. While I agree not the best way to show a demo to near enough most of your audience, the Platinum demo was enough to give me an idea of the nuances to expect, while nowhere near Devil May Cry and Bayonetta and being "Platinum" in name only, it was enough of a teaser to get me excited for things to come. I can totally believe Duscae was a far better demo. Hmm. I actually have the Duscae demo, I should probably get around to trying that, even though I'm already sold on the game, it'd be great to see all the differences and whatnot. I hope the FF7 remake stay to a traditional turn based RPG, the hold 'X' to attack hold 'O' to block is pretty terrible to be honest. That was the one area I was pleasantly surprised, they managed to introduce the philosophy of traditional turn based design into the flow of an active battle system holding 'O' is akin to waiting your turn I think it makes the game very dynamic especially when you add warping and summoning and magic, the possibilities seem mesmerising. I've said this a thousand times over, visually it is a stunning masterpiece but viewed through a stained glass. I would be utterly devastated if this wasn't addressed and in all honesty I have my doubts when after releasing the demo in this state they have the audacity to ask if you would like to pre-order now. I pray this is one of those cultural difference things because my impression of Square were that they were visual perfectionists.... sometimes to the detriment of the game, 'FFXIII Corridor Adventure' I'm looking at you. In the state it is in now it's a beautiful dissapointing mess like discovering your dream partner but on a toilet bowl after a night of heavy drinking and Curry (Bean Curry) bingeing. Love the trailer but god... aliasing, aliasing everywhere. This game deserves a PC release. It'll probably have tweaked AA by release, everything looks worth it. especially on PlayStation. Many PC gamers are eyeballing this on every site, that's a statement about the way it looks. Tabata actually changed his thoughts about PC from a "maybe" to "interested", but only after the console versions. his reasons being are interesting. "Tabata-san is interested in doing a PC version after the console version, and the reason for that is that it would allow to push the game to a new technical level. 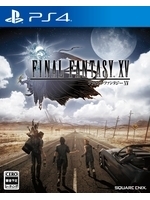 He would like a version of Final Fantasy XV even more technically elaborate, integrating things that the team couldn’t do due to the limitations of console technology. " so it's pretty much a given that it will land on PC at some point in time. I can't imagine what they mean "technically elaborate" than what they've been showing already. my PC is ready for whenever that day arrives. I think the consoles won't be that low, especially not when their demos run at higher. Wow, that Aliasing is really horribly, especially on hair. Jesus Christ, I really hope for a descent PC version with 60 fps and proper Anti-Aliasing.